Qatar Chronicle brings you the latest on breaking news, Qatar happenings,Qatar News,Qatar Classifieds,Qatar charity, Qatar foundation, Qatar living, Qatar investments, Qatar business, Qatar events, World news and more with a focus on Qatar and the MENA region. 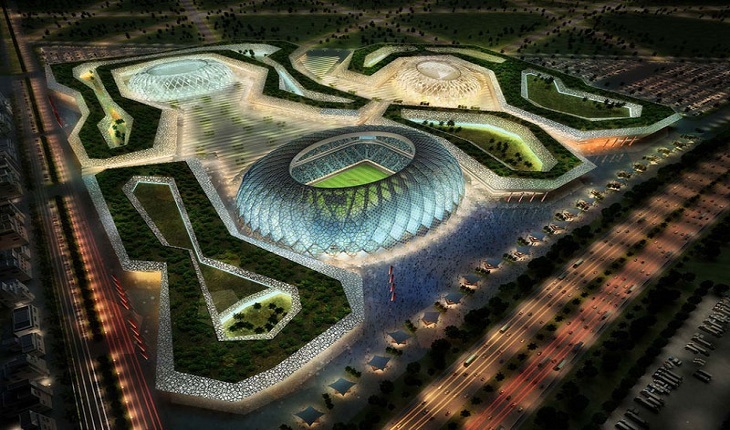 Doha 20th July 2013: FIFA, the world football governing body wants to move the 2022 Qatar world cup to winter season. The executive committee meeting in October will consider this proposal for change, said Sepp Blatter, president of FIFA. “We still have enough time,” said Blatter. According to him, world cup is a festival of the people, which can’t be played in extreme heat condition in a Qatar, where the temperature can rise to 50 degree Celsius. “You can cool down the stadiums but you can’t cool down the whole country. The players must be able to play in the best conditions to play a good World Cup,” he added. The organizing committee for Qatar world cup also said it is ready to change the timing of the tournament. “If it’s a wish of the football community to have the World Cup in winter, then we are open to that,” said, Hassan Al-Thawadi, head of the organising committee for the 2022 World Cup. But many European nations voiced concern over moving the tournament to the winter because it will disrupt their major European leagues such as English Premier League. Muhammad Tahim is the Sports Editor for Qatar Chronicle. A die-hard football fan and amateur tennis player, he roots for Manchester United, Barcelona, Paris St. Germain and Novak Djokovic.